Today, wearing a woolly jumper and eating spelt pasta, with my back to the radiator, it seems to me that our needs and motivations have changed little since the Iron Age. 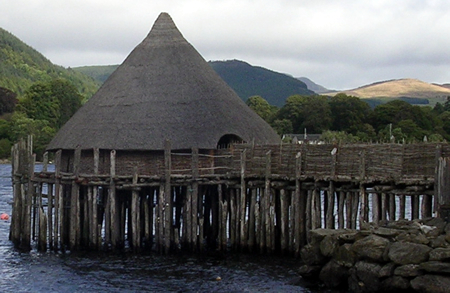 The Crannog would not have only sheltered its owners and kept them warm, satisfying their physiological and safety needs, it would also have been viewed by others as a status symbol, demonstrating the owners’ power and self-esteem, whilst raising them in the esteem of others. It would have given them a community too, along with a sense of belonging and social satisfaction. The Crannog dwellers would have been quite satisfied with their lot according to Maslow’s Hierarchy of needs. 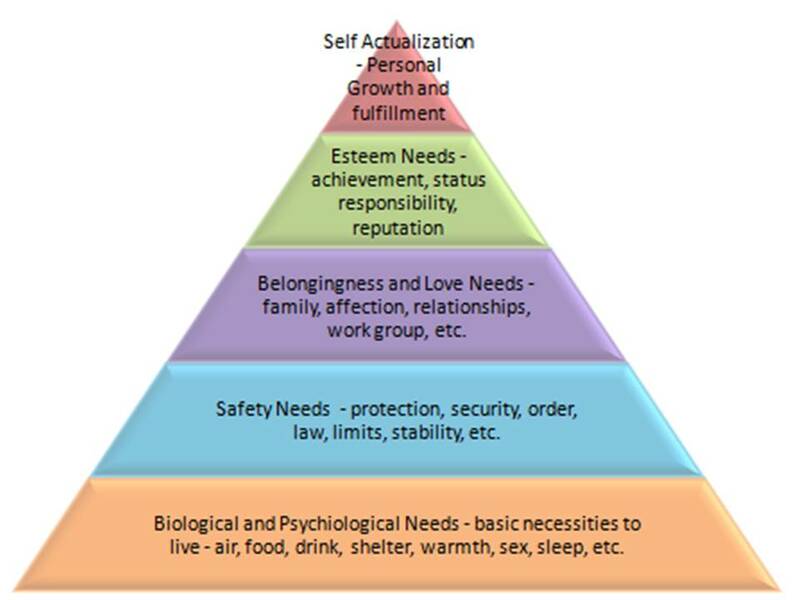 Abraham Maslow proposed his hierarchy in 1943, presenting them as a pyramid with physiological needs at the bottom and self-actualization at the top. 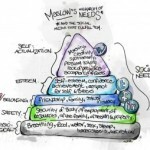 Maslow suggested that humans work through the pyramid from the bottom to the top – as one need is satisfied, the next need is raised. Physiological – food, water, and shelter. Strong needs which force humans to think of little else when they are in discomfort. Safety – personal or job security. These needs appear once physiological needs are satisfied. Social – the need to belong to a club or a family gives meaning, love and affection, and staves off loneliness and depression. Esteem – humans need to respect themselves and have others respect them. They do this through their achievements and position in communities. Self-actualization – humans want to do what they were born to do, realise their potential, and feel fulfilled. Later, Maslow added a self-transcendance or spiritual needs category. He put it at the top of the pyramid but stressed that spiritual needs could go hand in hand with the lowest of needs such as food and water. Spirituality or belief is a great motivator. In his classic book Why Buildings Stand Up, architect Mario Salvadori agreed with Maslow’s spiritual addition. Salvadori pointed out that the spiritual needs of humans have always preoccupied people even when they are lacking basic physiological comforts. Once humans abandoned their nomadic lifestyles to live in fixed communities, the larger architectural dwellings were usually places of worship and communion. Monuments too, expressed a culture’s conception of spiritual needs, and of life and death. The Pyramids demonstrate Ancient Egypt’s obsession with death. The Mausoleum of the First Qin Emperor, Qin Shi Huangdi, complete with terracotta army, illustrates his obsession with immortality. 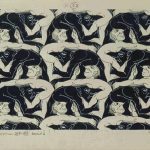 Our cultures and the way we do architecture may have changed, due to the advances in science and technology, but our needs, from physiological to spiritual, have not. We live, eat, sleep, and procreate in the same way. Today though, the largest buildings we create are shopping malls, as fewer people are motivated by organised religion. We worship the material and these large structures express our concept of our greatest need: to consume as much as we can. Cognitive : the search for knowledge and meaning. Aesthetics: the appreciation of beauty and balance. Some older libraries look like temples from Antiquity. However, David Adajaye’s Idea Store in Whitechapel, Tower Hamlets’ newest library, looks like a department store. The London Borough is trying to motivate people who don’t want to read, but enjoy shopping, to go inside. With most buildings, schools, prisons, hospitals, and police stations, we can tell what is going on inside by looking at the outside. Form follows function. When we enter them, we do so with certain expectations, and we are motivated by a specific goal which we would like to achieve, otherwise we wouldn’t go in. This applies to most things with which humans interact: websites, graphical-user interfaces, other humans, and any artefact that will or won’t move a user nearer to the goal he is motivated to achieve. If the user does not find satisfaction, he continues his search elsewhere. Human motivation and satisfaction has the greatest influence on individual behaviour which is why business sociologists spend so much time trying to come up with ways for organisations to motivate their employees for the greater good of the company, not the individual. Cognitive science research shows us that interfering with human perceptions and processes has a negative impact on human performance and goal achievement. So do the shopping users who go into the Idea Store, stand about wondering where to find ladies underwear? What about the reading users? Are they still provided for? Time will provide the answers to these questions. And if we see more department store libraries popping up across the UK, is this what library users want? Or what local authorities want? Users are individuals with a common set of motivations, defined by needs, and shaped by cultural patterns. 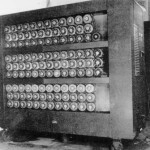 Users are conditioned from birth and according to Joseph Campbell certain patterns are hardwired in the human brain. As designers and architects, we need to tap into user patterns, needs and motivations to create a better infrastructure for a better society, not one dictated by organisations, whose idea of the greater good can mean creating structures which do not address local community needs but allow them to spend their budgets meeting meaningless government targets.